A phobia is defined as an extreme fear or aversion to something. This can often be associated with mathematics both by students and teachers alike. Human nature is such that when we feel we are not good at something, we therefore can’t be successful at it and we tend to avoid that what we will fail at. This self-fulfilling prophecy is often alive and well in a teacher’s or student’s thoughts. I will be the first to say that at an earlier stage of my career I was very uncomfortable and unsure of myself when teaching mathematics. Sure I knew how to do math, but did I know how to teach something I was not very comfortable with. I had to do something to ensure that my skills and pedagogy were improving. Thus began a voyage of self-learning or self-guided professional development. 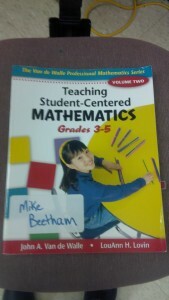 Now, twenty-five years later I am still on that journey of learning about how to best teach mathematics so that my students learn and are engaged in their world that is so filled with math. As with anything else you must find the right tool or vehicle for learning. I attended as many workshops as I could on mathematics. The Waterloo Region District School Board offers a wealth of learning opportunities for their teachers as does ETFO and the Ontario Association for Mathematics Education (OAME) (http://www.oame.on.ca/main/index1.phplang=en&code=home). These are several key areas where you can start your journey of learning. I would like to share three key resources that have helped me become a more efficient and knowledgeable mathematics teachers. The first is the work of Dr. Catherine Twomey Fosnot. Her work and approach to the instruction of mathematics is the number one influence I attribute to my growth in mathematical instruction. I attended several of her sessions as well as visiting her site in Harlem. I would highly recommend her series ‘Young Mathematicians at Work’ as a classroom resource. 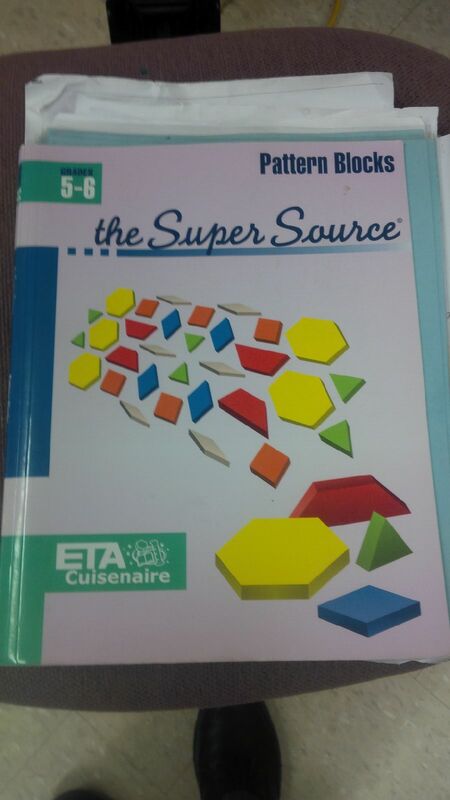 The second most useful tool I have come upon is the series entitled Super Source. There are many reasons why I like this resource. The first is the rich problem solving tasks that are in each book. There are a variety of tasks and each task is connected to an area of mathematics where it can be used like number sense or patterning. 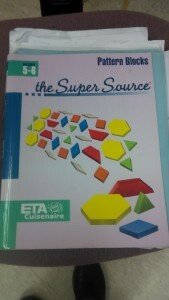 There is a book written for each type of manipulative (Base 10, Pattern Blocks, Tangrams etc…). The most valuable asset of this resource is that there is a section where the mathematics behind each task is explained to the educator (the big ideas) as well as suggestions on how to bring out the math in your students. As with any resource this provides a jumping on point where a teacher can then adapt the task to meet their needs. The final resource I would like to share with you is one of the many works of Van de Walle. I used this resource as a teaching tool for myself. It helped me understand the concepts I was teaching and how to bring out both a level of engagement as well as a deeper understanding of mathematics in my students. 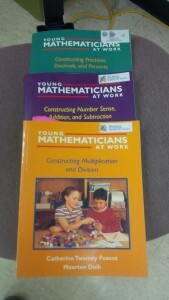 I hope these resources prove to be as valuable a tool to you as they are for me in my teaching of mathematics.